My DT card this week for Crafty Creations is for a nurse for her 40th Birthday. I have Used Basic Grey papers, Some embossing on silver foil to create the sentiment, some clear faux stich heat embossing on edges of card for added detail. I have used alpha brads for name, papermania ribbons and some red cross brads from stash. This week we also have a special request! Great card !!! Love the papers and colours you used !! What a great effect you ahve achieved with the embossed sentiment, really blends with the rich DP's. 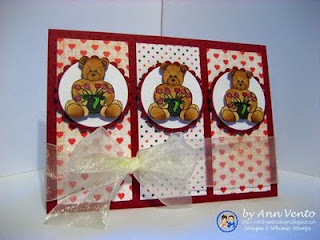 Two gorgeous cards again, love those little red cross brads. This is a wonderful card for your friend!! 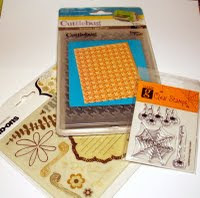 Great embossing!! Two very different but very beautiful cards, Claire! They're fantastic! I love the embossing on this one and the backing paper, a really lovely card!